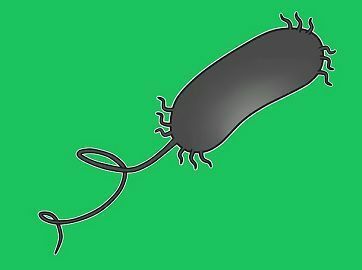 Despite being in the same category of prokaryotes, archaea and bacteria show variances in their genetic makeup, as the metabolic pathways, and other enzymes, genes possessed by the archaea closely resembles eukaryotes rather bacteria. Simple, microscopic, ambiguous microorganisms mark their presence universally, whether its deep in water, high temperature, soil or any extreme conditions. The evolving history of these cells is considered to be old as more than 3.5 billion years ago. Archaea and bacteria are the representatives of the prokaryotes and belong to the kingdom Monera. Archaea are considered to be the most primitive or ancient forms of life and denote the close relations to the first cells, which is deemed to arise about many years ago on earth. They were earlier classified as bacteria only and obtained name as “archaebacteria”, but due to the presence of certain unique features, they are now termed as ‘archaea’. They are inhabitants of very extreme environments. Although like bacteria, which occupies the more significant part of the kingdom and are commonly found in the environment, archaea are also single-celled, lacking multicellularity, ranging in few micrometres. These essential differences and similarities are discussed in this content, with a brief description of them. Meaning Archaea are single-cell, simple microorganisms and are capable of surviving under extreme condition. They are considered as the most primitive cells, which originated on the earth 4 billion years ago. Bacteria are also single-cell but have the complex structure. All types of bacteria except archaea falls under this category. Found in Archaea are found in unusual environment like in hot spring, ocean depth, salt brine. They are found everywhere like in the soil, water, living and non-living organisms. Cell Wall The cell wall is said to be as pseudopeptidoglycan . The cell wall is made up of peptidoglycan with muramic acid or lipopolysaccharide. Lipid membrane Archaea have ether bonds with the branching of aliphatic acids in their lipid membrane. Eubacteria or bacteria have lipid membrane of ester bonds with fatty acids. Metabolic pathway Archaea do not follow glycolysis or Krebs cycle but uses similar pathway. Follow glycolysis pathway and Kreb's cycle to break down glucose. Types Methanogens, Halophiles, Thermoacidophiles. Gram-positive and gram-negative. Reproduction Archaea reproduce asexually by binary fission, fragmentation, or by the budding process. Bacteria can produce spores which allow them to live in unfavourable condition. Other features Thymine is absent in the tRNA (transferase RNA). Thymine is present in the tRNA. Introns are present. Introns are absent. RNA polymerase is complex and contains 10 subunits. RNA polymerase is simple and contains 4 subunits. Archaea are non-pathogens. Some bacteria are pathogens. Archaea frequently called extremophiles and are the novel prokaryotic cells found to date. Similar to bacteria, they are also single-celled, with the undeveloped nucleus (their genetic material or DNA is in the form of a loop called as the plasmid) and lacks other organelles too. But due to their unusual anatomy and physiology, they are considered to exhibit more similar characteristics of eukaryotes. This feature is the tRNA (transferase RNA), which plays the leading role in decoding DNA and building proteins. Archaea size varies from 0.5-4 µ. They possess different shapes like spirals, rods, plates and spheres, while some may be flat or square shaped also. Unlike to the bacteria, the cell wall of archaea is made up of pseudo peptidoglycans. The lipid membrane is ether linked, with the branching of aliphatic acids. As discussed earlier, they divide asexually by budding, fragmentation or binary fission process. Archaea consist of the single-circular chromosome in the form of the plasmid. The outer cellular membrane act as the barrier to the cell and its outer environment and is made up of phospholipid (pseudo peptidoglycans). They also have the cell wall which is the outer layer of the cell and helps in maintaining the cell shape and the chemical equilibrium. Inside the cell membrane is the cytoplasm where other cellular debris and the genetic material is placed. Archaea divide asexually by the process of binary fission, budding or fragmentation. They have only one flagellum for their motility. They show their presence in the conditions, which are not suitable for any other organisms to survive. Archaea are metabolically active in the situation of pressure, acids, pH, high temperature, deep water. Methanogens, Thermophiles and Halophiles are the three types of archaea found till yet. Methanogens are one of the most diverse groups of archaea. They play a vital role in wastewater treatment as methanogens can convert bacterial waste products and carbon dioxide into methane. As methane is considered as the greenhouse gas that helps in reducing the global warming. Methanogens are found in wetlands, marine sediments. Methanococcus, Methanobacterium are the common examples. Thermophiles are the archaeans that can survive at the higher temperature which is between 106 – 252°F or 41 – 140°C. They have further classification as simply thermophile, extreme thermophiles or hyperthermophiles. Thermophiles proved in playing an essential role in biotechnology while performing Polymerase Chain Reaction (PCR). Thermus aquaticus and Thermuococcus litoralis are the examples. Halophiles are known as the salt-loving extremophiles. These organisms are found in the high salt concentration like in the deep sea of the Dead Sea, Great Salt Lake or in evaporation ponds. Halobacterium, Halococcus is the example of this type. Bacteria or Eubacteria are the prokaryotic organisms, lacking the nucleus and other membrane-bound organelles. So all the process takes place in the cytoplasm. The bacterial cell is enclosed in an envelope which protects, supports and regulates transports of materials. Bacteria contain single, circular chromosome as their genetic material and ribosomes for the synthesis of the protein. The cell wall is made of peptidoglycan, having ester linkage of fatty acids. They have the special appendages for the motility and are capable of reproducing even under extreme condition by the formation of spores. They can reproduce sexually as well as asexually. They varied in their size and shape. Bacteria can be pathogens or non-pathogens. The size of the bacteria may vary from 0.2-1.5 µ in diameter. Their shapes also vary from spherical, rod, cocci to spiral. Gram positive and Gram negative are the two types of bacteria. The differences in both are basically due to the cell wall and the colour they give after the staining. The Gram-positive bacteria show the positive result and appear purple when seen under a microscope. Staphylococcus, Bacillus, Streptococcus are the examples of gram-positive bacteria. On the other hand, the Gram-negative bacteria do not take up the crystal violet stain. Salmonella, Shigella, Pseudomonas are some of the examples. Given below are the important points which distinguish the archaea from the bacteria. Likewise the bacteria, archaea are single-cell, simple prokaryotes, lacking the well-defined nucleus and other organelles. Archaea are capable of surviving under the extreme condition and so are considered as extremophiles. 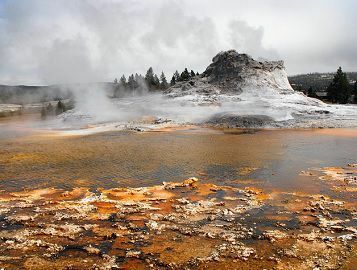 Archaea are found in the unusual environment like in hot spring, ocean depth, salt brines, while bacteria are found everywhere like in the soil, water, living and non-living organisms. The cell wall of archaea is pseudopeptidoglycan, as they have ether bonds with the branching of aliphatic acids, whereas bacteria have lipid membrane ester bonds with fatty acids. Archaea exactly do not follow glycolysis or Kreb cycle but uses similar pathway, but bacteria follows these pathways to produce energy. Methanogens, Halophiles, Thermoacidophiles are the type of archaea, while gram positive and gram negative are the types of bacteria. Archaea reproduce asexually by binary fission, fragmentation, or by the budding process, on the other hand, bacteria can produce spores which allow them to live in unfavourable condition and they divide sexually as well as asexually. In archaea features like thymine is absent in the tRNA (transferase RNA) and introns are present, whereas in bacteria thymine is present in the tRNA and introns are absent. In archaea, the RNA polymerase is complex and contains ten subunits, while in RNA polymerase in bacteria is simple and contains four subunits. Pyrolobus fumarii, Sulfolobus acidocaldarius, Pyrococcus furiosus, Methanobacterium formicum are few examples of archaea. Streptococcus pneumoniae, Yersinia pestis, Escherichia coli (E.coli), Salmonella enterica, are the examples of bacteria. Both the types have the almost same size which varies from 0.5 – 4 micron and so are said to be smallest cell in existence. They both lack membrane-bounded organelles and nucleus. Archaea and bacteria lack multicellularity, and the chromosome is single and circular. Although introns in mRNA, and so the post-transcriptional modification of RNA lacks in both. Archaea and bacteria both have 70S ribosome (but bacterial ribosome is sensitive to certain chemicals which act as inhibiting agents, while archaea are insensitive to these chemicals like that of the eukaryotes. They can be autotrophs or heterotrophs. Above we consider the difference between the archaea and bacteria and found them superficially different. Though both are single-celled microorganisms and show morphological similarities, but varies in other properties. They even prosper in the different environment and hence are kept in the different group.